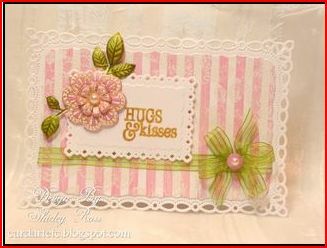 By combining a striped stamp and a floral one and using a resist technique Shirley with Impression Obsessions shares how to make a pretty distress background. She also shares directions for making the entire lovely card too. Click here for a step by step.